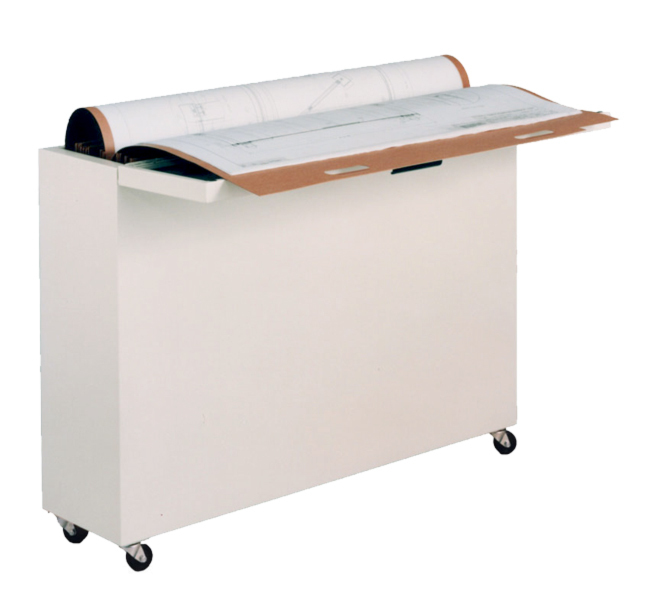 The Cadfile requires 75% less floor space than Flat File Cabinets, while providing amazing document protection and needs only 6 square feet of floor space. Each cabinet holds 1,000 large documents. That’s as many drawings as two flat file cabinets. 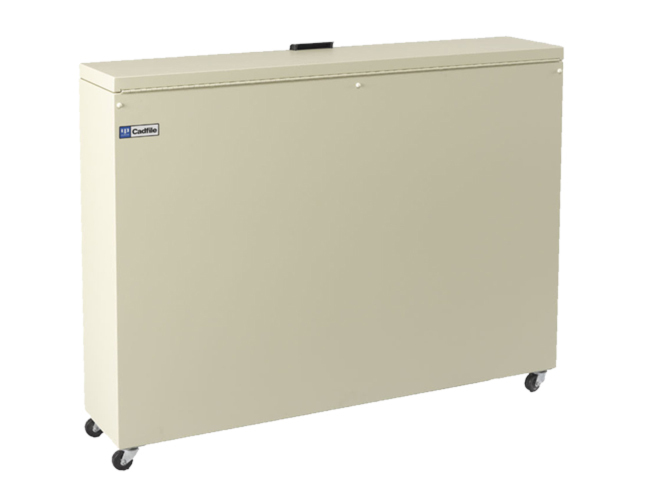 At less than 11″ deep and with heavy duty casters this cabinet can fit anywhere in your office. 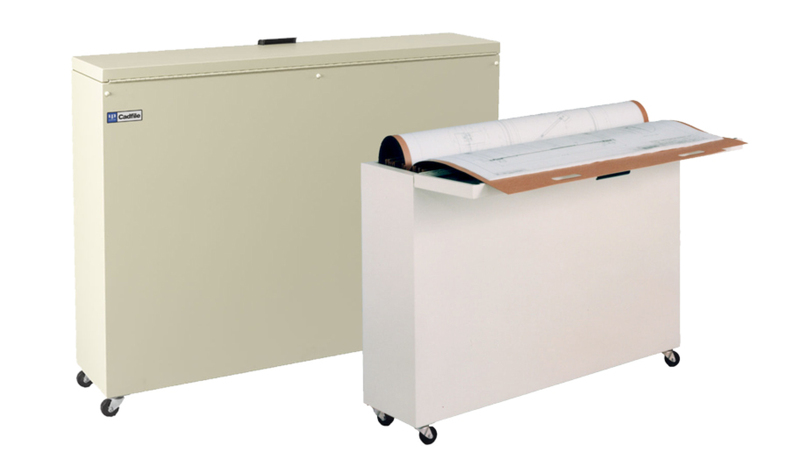 Ulrich’s unique spring compression system and tuff-one folders make it easier to file large documents, than small documents in your desk drawer. Cadfiles are made to order. Allow 4 weeks for delivery. Shipping cost will be calculated at time of processing. 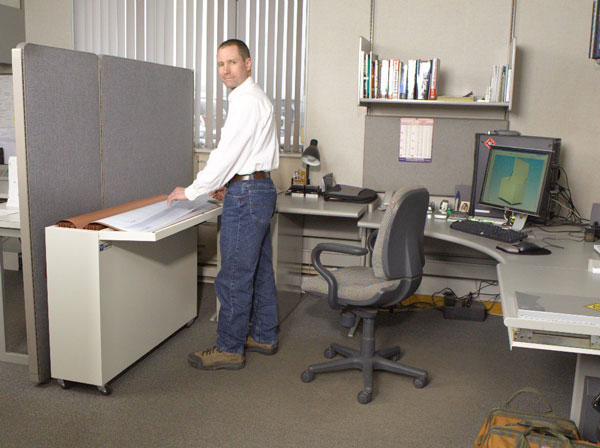 Less Space - Uses 75% less space than flat file cabinets.